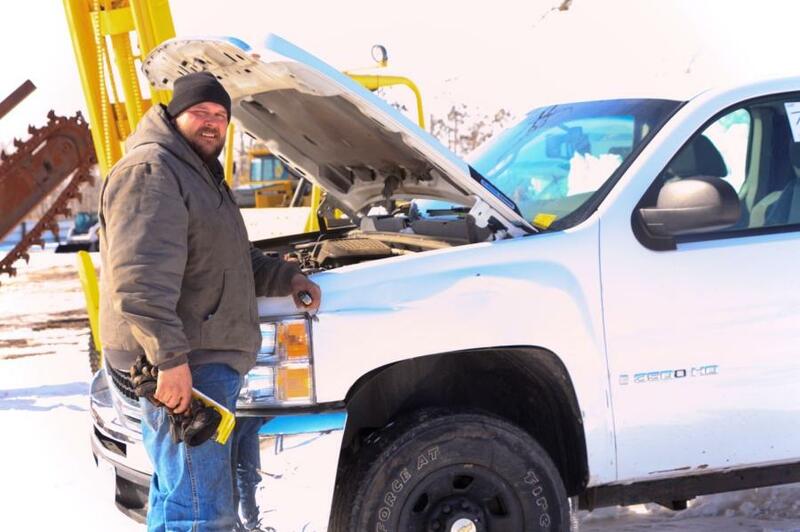 Interested bidders climb up to check out various parts of the Komastu excavator that was available at the March 9 auction. 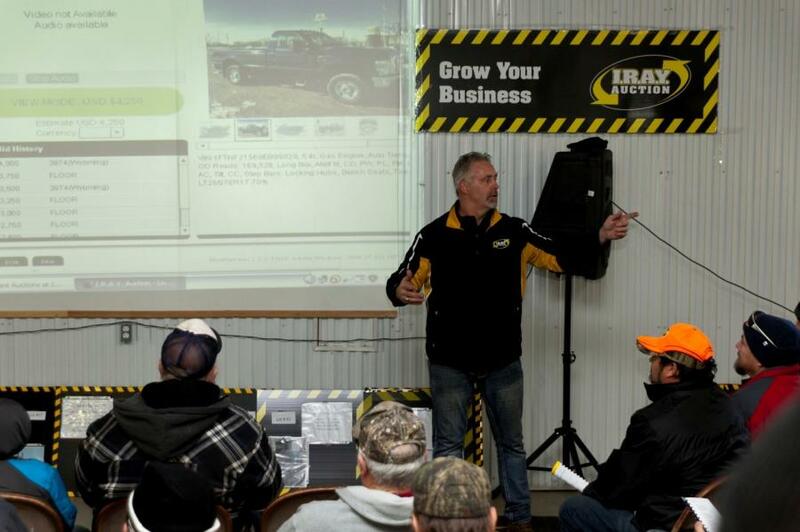 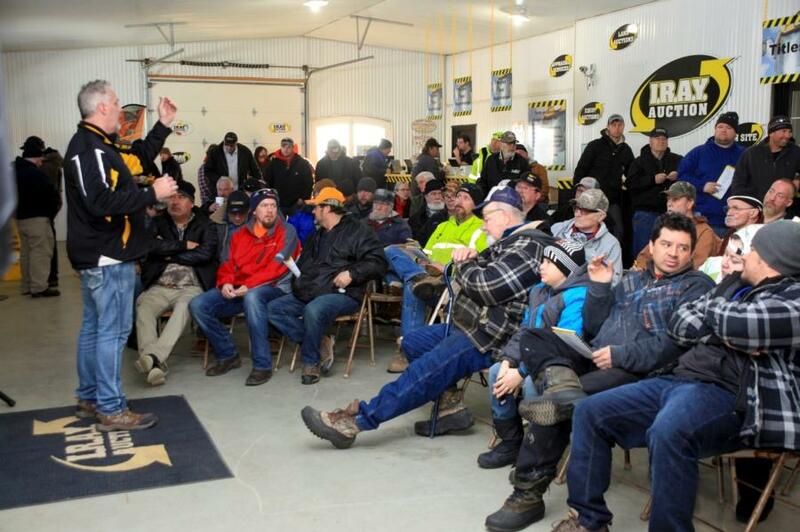 It was a mild, sunny day on March 9 in Foley, Minn., where IRAY held its quarterly auction. 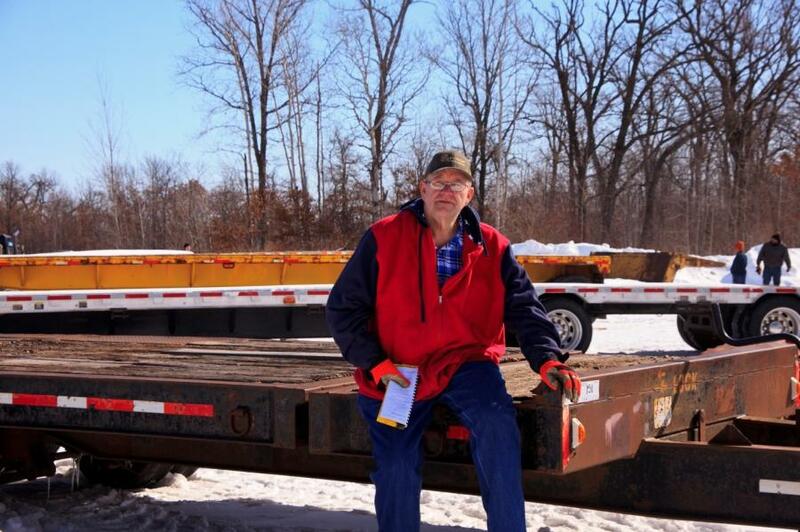 There were various types of heavy equipment, trucks and trailers available. 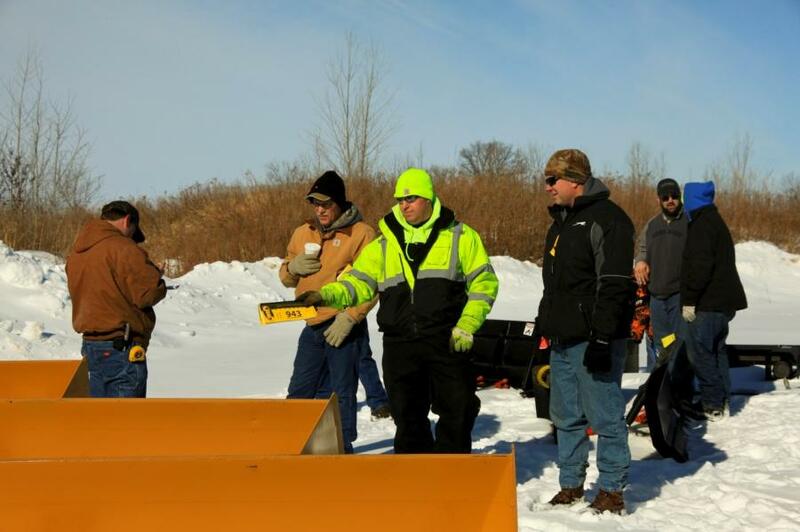 There also were many new and used items available as skid steer attachments. 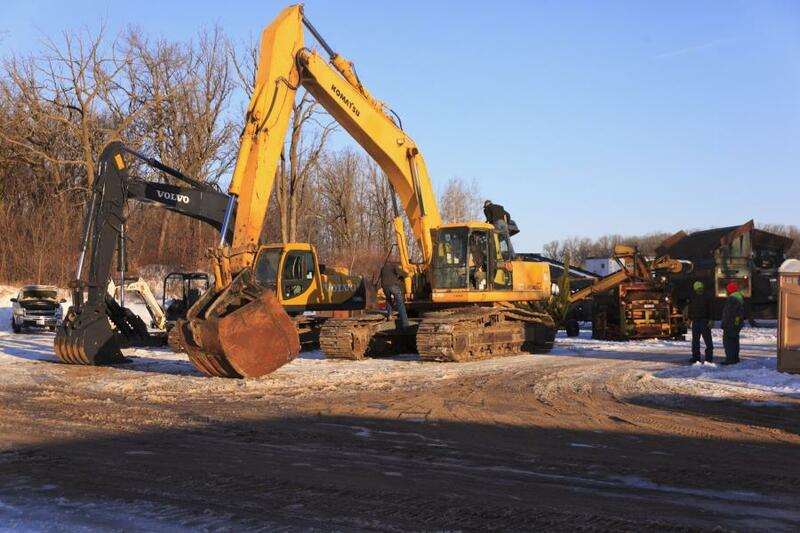 Inventory was available for bidding onsite, online or by proxy bid.